Filipe Carreira da Silva is an Assistant Researcher at the University of Lisbon. 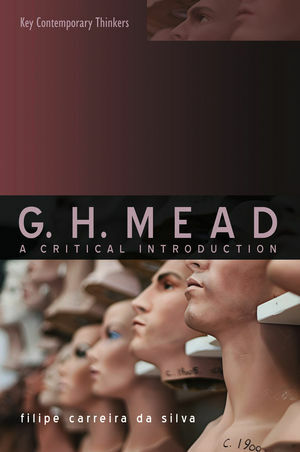 "A comprehensive critical guide [that] is a definite must-read for anyone with an interest in Mead." "This book is a real gem. It does proper justice to the sophistication and originality of G. H. Mead’s intellectual project, whilst remaining remarkably lucid and accessible. Filipe Carreira da Silva’s approach brings Mead alive and provides a thorough understanding of his audience, his motivations for writing, his intellectual allies and foes and, above all, what he was trying to achieve. Carreira da Silva also explains the relevance of Mead’s writings for current debates in social and political philosophy, and he does so with analytical agility and imagination. I highly recommend this book." "Drawing on previously obscure archives and impeccable scholarship, Filipe Carreira da Silva has broken extremely important new ground on one of the most important yet under-appreciated social thinkers of the twentieth century."